Houston– July 19 carries many historical events: Apollo II orbited the moon, Christa McAuliffe was chosen for space flight and XXVI Olympic games opened in Atlanta, Georgia. A Houston restaurant also shares a memorable moment on this popular date. On July 19, 2012 Sorrel Urban Bistro, the farm-to-table eatery named one of the Top 10 New Restaurants in the U.S., will celebrate its 1-year anniversary. To commemorate 365 days of success, Sorrel wants to carry a message of gratitude to its loyal patrons with a celebration. The event, which will be 9 p.m. -11 p.m. July 19 at 2202 West Alabama, will feature Ciroc Liquor tastings, complimentary hor d’ oeuvres and a cash bar. The 1-year celebration, open to regular guests and first timers, will take place in the warm, fine dining atmosphere, so attendees can expect to enjoy all the familiar features of the Bistro that has made it a success this past year. The dining room, bar area and covered patio will be open for Houstonians to mingle and celebrate. Sorrel has a lot to celebrate. Owner, Ray Salti and Executive Chef Soren Pedersen’s vision was to bring everyday farm-fresh dining to more Houstonians, and each week the restaurant serves hundreds of guests. Also, the restaurant has gained the support of local media, business and publications. “We wouldn’t have made it this far without our customers. It’s not about us, but it’s about them. Sorrel Urban Bistro doesn’t belong to me. It belongs to Houstonians, and we hope they come and celebrate,” says Salti. The 9 p.m.-11 p.m. slot is usually reserved for reverse happy hour Tuesday thru Saturday, but it will still be a happy two hours for the guests who attend this year. Black Razz Chocolate Kiss and The Wolfberry Lemon Fizz are two of the cocktails made especially for the anniversary party. 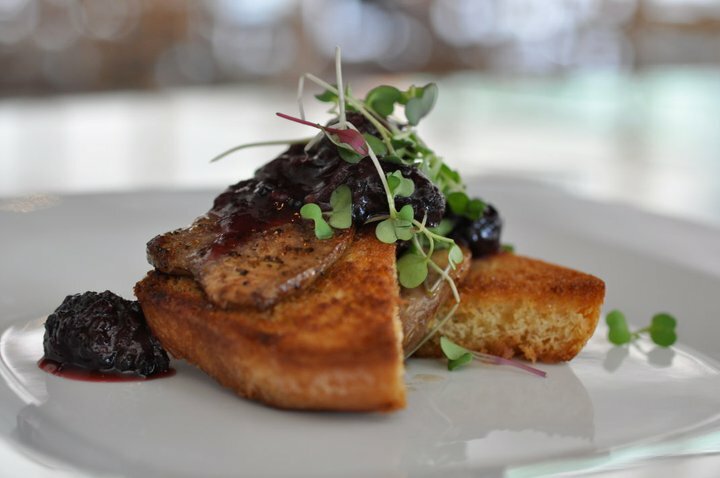 Sorrel entered the Houston scene July 2011 with a vision to bring farm-to-table dining to the area. It’s hard to believe that a completely different concept would be welcomed to Houston with open arms. After less than a year, the bistro has gained an impressive Twitter and Facebook following, and has a great number of visits each week. Sorrel Urban Bistro’s mission is to serve high quality, moderately priced meals in a charming, welcoming atmosphere, and the restaurant continues to stand behind its promise with the support of Houston, its staff and sourced farms.